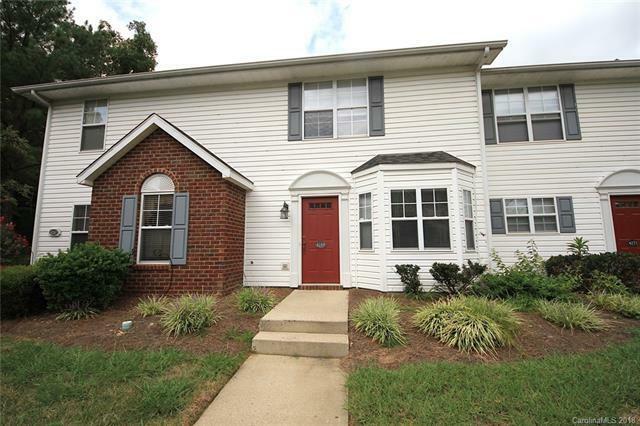 Beautiful 2bdr, 2.5 bath townhome. Kitchen opens into dining room with a bay window and lots of natural light. Large family room opens to private patio and storage in back. Features dual master suites with private baths - perfect for roommates or a guest suite. Two reserved parking spaces directly in front of home. Unit backs up to tree line for additional privacy. Community features pool and clubhouse. Great location that offers an easy commute to shopping, restaurants, & uptown Charlotte.